AirPura UV600 features the AirPura Germicidal UV bulb, which enables AirPura UV600 to deliver a Premium sterilization power and Superior level of protection from airborne pathogens. The AirPura UV600 True HEPA and Carbon filters effectively trap allergens, dust, regular chemicals, odors and cigarette smoke. AirPura UV600 employs the AirPura High-output Germicidal UV bulb to ensure effective airborne pathogen control. The AirPura UV600 HEPA and Carbon filters trap all allergens, dust and remove most chemicals in the air. 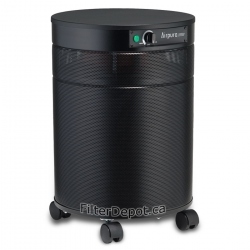 AirPura UV600 features the powerful, yet energy efficient, vibration and noise-free motor/fan assembly. The AirPura UV600 variable speed control allows to set the optional air flow in all operating conditions. AirPura UV600 delivers an impressive air flow of 560 CFM and cleans effectively areas up to 2000 sq. 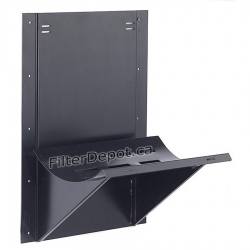 ft.
AirPura UV600 features the all metal housing with a durable appliance quality baked-on powder coat. AirPura UV600 doesn't produce any toxic off-gassing. AirPura UV600 is protected by a strongest in the industry 5 / 10 Year limited manufacturer's warranty. AirPura UV600 ships Free by Ground service in Canada and the continental USA with No Border Crossing fees. The AirPura UV600 purchases are Tax-free for all US and International customers. AirPura UV600 comes with a 30-Day Money Back Satisfaction Guarantee Return policy. AirPura UV600 - When to Use ? Use AirPura UV600 air purifier to achieve a superior level of protection from airborne pathogens: microbes, bacteria, viruses, germs and an effective no-compromise air purification performance in combined removal of allergens, dust, chemicals and odors in large homes, offices or workplace areas up to 2000 sq. ft. The AirPura UV600 employs a standard 2-inch deep True HEPA filter to trap from the air over 99.97% of all microscopic airborne contaminants down to 0.3 micron in size and to provide a superior level of protection from lung damaging dust and allergens, including but not limited to: mold spores, plant spores, pollen, house dust mites and debris, lung damaging dust, pet dander, bird feather dust, microscopic ash particles in cigarette smoke and smoke from wood burning stove, etc. The AirPura UV600 can be equipped with 99.99% efficiency 2-inch deep Super HEPA filter instead of a standard 99.97% efficiency True HEPA filter for even greater air filtration efficiency of sub-micron allergens and lung-damaging dust. The AirPura UV600 air purifier with Super HEPA filter has a designated model number AirPura UV614. 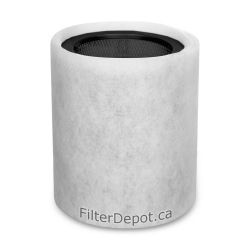 Standard 2-inch deep Chemical an Odor Filter Canister. 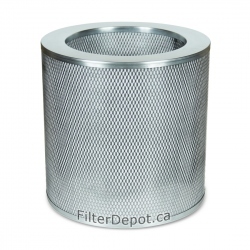 The 2-inch deep carbon filter canister contains a massive amount (18 lbs.) of regular activated carbon adsorbent to ensure fast and effective removal from the air of all regular chemicals and odors such as: cuisine odors, pet odors, chemicals in cigarette smoke, smoke from wood burning stove, household chemicals and many more. There is a choice choice of the coconut shell or anthracite based carbon adsorbent an no extra cost. High Output Germicidal Ultraviolet (UV) Bulb. AirPura UV600 employs the 20-Watt High-Output Germicidal UV Bulb as a standard equipment. The UV light provides the most effective and speedy sterilization of the air from all airborne pathogens and antigens. The sterilization power of the Germicidal UV light is 1,600 times of a direct sunlight, and therefore is extremely lethal to airborne pathogens: viruses, bacteria, microbes, germs fungi, etc. 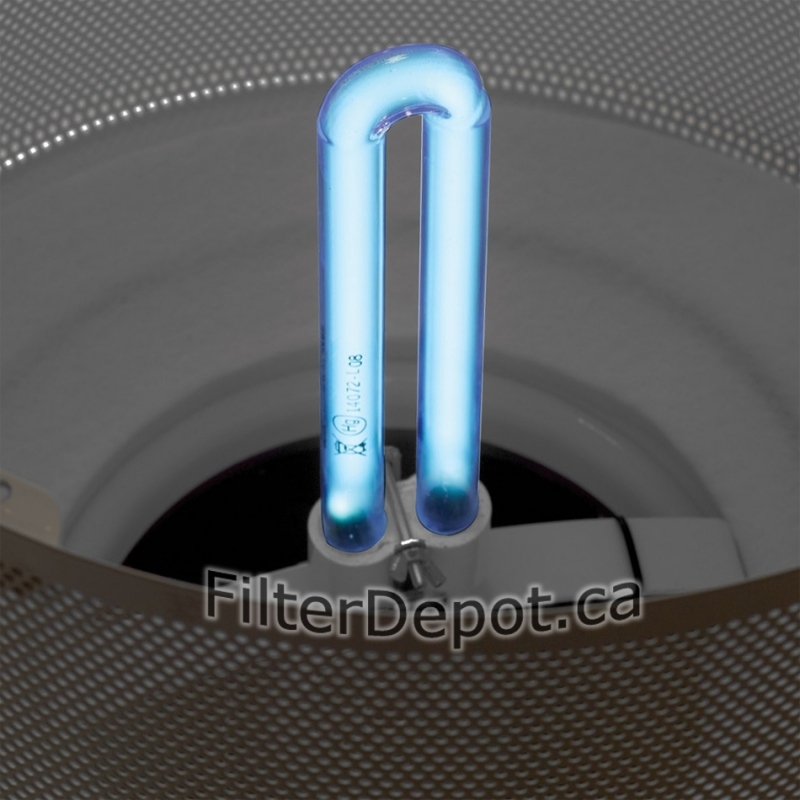 The UV bulb is located in the center of the filter compartment. Such placement ensures the utmost effectiveness in sterilizing the air and prevents a direct UV light exposure outside the air purifier. The separate On/Off switch on the Control Panel with indicator light allows to operate the UV bulb independently. 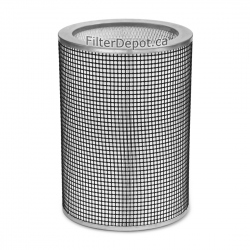 The standard 1-inh thick polyester based pre-filter is the first stage of the air filtration system. 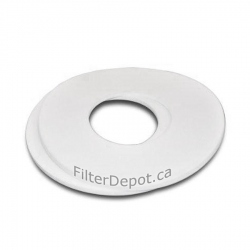 The pre-filter traps most of larger visible dust and dirt particles and protects fine True HEPA filter from faster contamination while extending its lifetime. 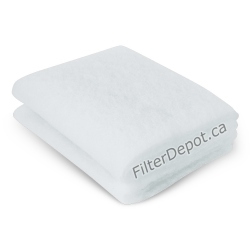 The optional unbleached pesticide-free Cotton pre-filter is available instead of the standard polyester based one for concerned individuals with elevated or Multiple chemical sensitivity. AirPura UV600 employs powerful, yet energy efficient Motor/Fan unit with variable speed control rated at 560 CFM. The air flow delivered by the AirPura UV600 is 40% higher than for most other air purifiers in the same category. AirPura UV600 features durable, impact resistant the all metal housing design. 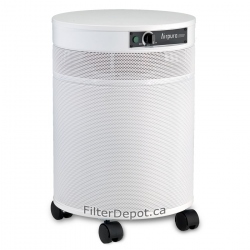 AirPura UV600 air purifier comes with the most comprehensive limited manufacturer's warranty. This is a wonderful unit. This is a wonderful unit. The variable speed and ultraviolet light allows me to use it in the bedroom while we sleep. If you like a night light then the ultraviolet light feature provides adequate light. Very simple and straight forward. I like to run it on high in the bedroom for a couple of hours before turning in because the room smells so fresh. The barrel design makes it unintrusive. 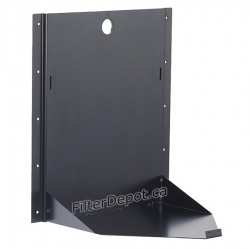 Nice quality casters make it easy to relocate which is important because the unit is quite heavy. I have MCS and this has proven itself. I really like the eggshell color. Highly recommend.